The Aldworth Village Hall was officially opened on Saturday 12 March 2016 by Lord Iliffe. Designed by Owens Galliver Architects, it is located in an Area of Outstanding Natural Beauty, overlooking the village recreation field and offers onsite parking for 20 cars, as well as a children’s playground just outside the hall. 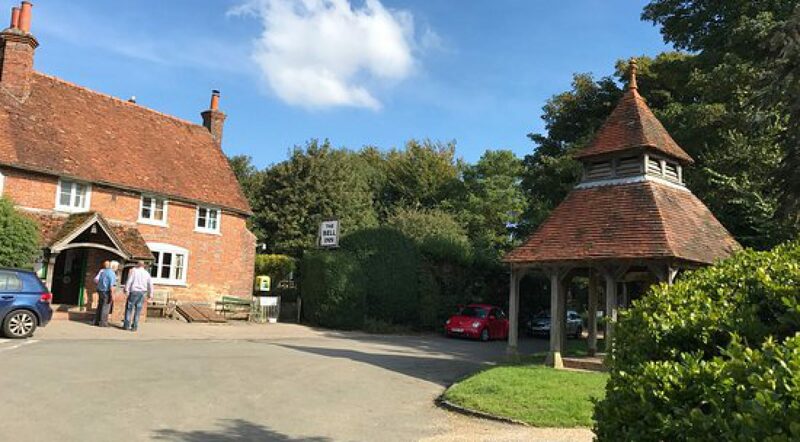 The Aldworth village hall offers a large hall (approx 11.5m x 7m) that seats 72, with sprung floor, beautiful exposed beams and large windows giving great views onto the field; as well as a smaller meeting room (approx 6.2m x 4.5m), that seats 20 or that can be used as changing rooms. It has a fully equipped kitchen, toilets, disabled access and a shower. Tables and chairs are available for your use in the hall. If required, the recreation field should be booked via The Bell Inn next door. St Mary’s Church, only a 2 min walk away, is also available to use in conjunction with the hall, seating 100 people. It is a delightful little church, with lots of history (including its own giants), a kitchen and toilets. If you are interested in booking the hall, please check the calendar for availability, review our hiring rates and our terms and conditions of hire and complete our hiring agreement, call our bookings manager on 0845 634 2140 or email with your name, telephone number, address, date and time you would like to book the hall and purpose of booking. Once booked, please read through our hiring guide, hirer checklist and fire plan – they are written to help you. From the B4009, follow the signs for Aldworth. The Aldworth Village Hall is on the recreation ground to the right of The Bell Inn, shown on the map below. There is access to the hall from a footpath, steps and the drive. Disabled access is available. To help you book our hall, here are details of some local suppliers that we have worked with and would recommend.